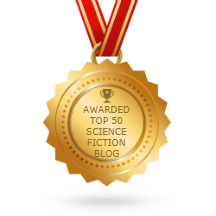 Voters have chosen the 2018 Clarkesworld Reader’s Poll winners from the five finalists in each category. Editor Neil Clarke made the announcement on the magazine’s website. The 5 finalists for best Clarkesworld short story and cover art of 2018 are in listed in Neil Clarke’s February editorial. 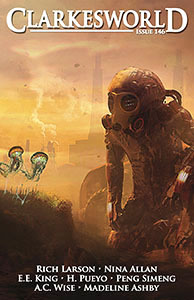 We held a two-day nomination period for the Clarkesworld Magazine Reader’s Poll in January. Similar to last year, the shortened nomination phase appears to have minimized the attempts at ballot-stuffing without any significant impact on the total number of participants. It was a tight race in both categories and the top five changed many times. In the end, there were enough ties that both ended with six finalists instead of the normal five. Voting on the finalists is open until February 20 at 8 p.m. EST. 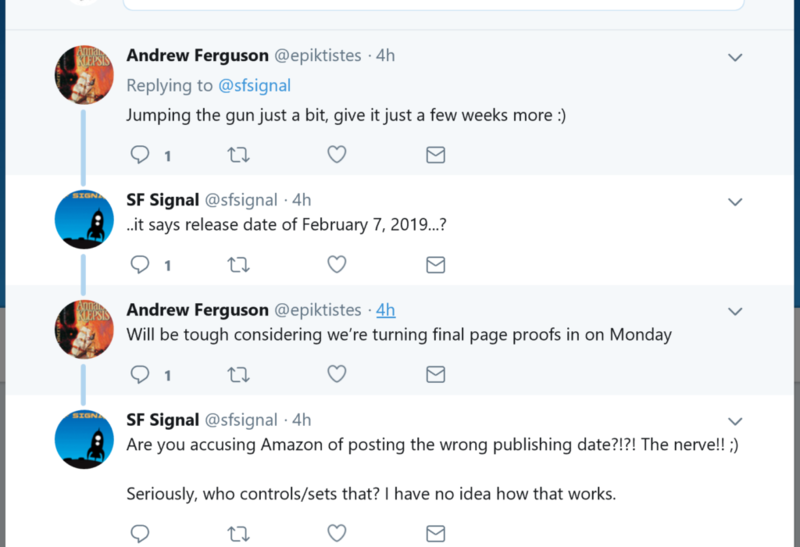 The results will be announced in Clarkesworld’s March issue. Vote here. 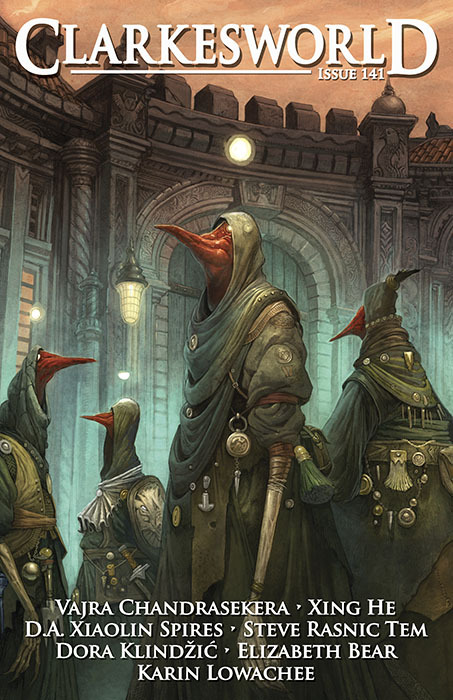 The nomination phase for the annual Clarkesworld poll is open, but move fast — it closes Friday at 8 p.m. EST: 2018 Clarkesworld Survey – Nomination Phase. Readers are invited to nominate their three favorite 2018 Clarkesworld stories and covers. The works with the most nominations will become the 2018 finalists and a winner will be determined by a second round of voting in February. All stories and artwork can be found here. Following a 24-hour “flash nomination” period, the 5 finalists for best Clarkesworld short story and cover art of 2017 are in listed in Neil Clarke’s February editorial. 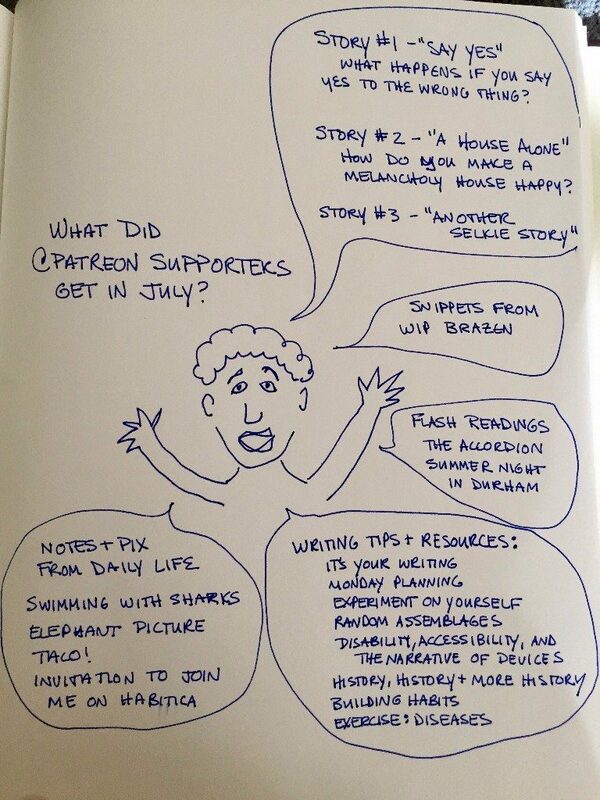 The announcement was sent out via Twitter, Facebook, Patreon, and my blog. The brevity of this phase was an experiment. In theory, it would create a sense of urgency and reduce the opportunities for a coordinated ballot-stuffing campaign. It worked. The nomination phase generated more responses than the majority of our full surveys from years past and a significant reduction in stuffing—though there were some very clumsy attempts to do so, of course. Voting on the finalists is open through February 24. Everyone may participate whether or not they nominated in Phase 1 – vote here. (1) BESIDES CONFEDERATE. Deadline tells about another post-Civil War alternate history in development: “‘Black America’: Amazon Alt-History Drama From Will Packer & Aaron McGruder Envisions Post-Reparations America”. Another alternate history drama series, which has been in the works at Amazon for over a year, also paints a reality where southern states have left the Union but takes a very different approach. Titled Black America, the drama hails from top feature producer Will Packer (Ride Along, Think Like A Man franchises, Straight Outta Compton) and Peabody-winning The Boondocks creator and Black Jesus co-creator Aaron McGruder. It envisions an alternate history where newly freed African Americans have secured the Southern states of Louisiana, Mississippi and Alabama post-Reconstruction as reparations for slavery, and with that land, the freedom to shape their own destiny. The sovereign nation they formed, New Colonia, has had a tumultuous and sometimes violent relationship with its looming “Big Neighbor,” both ally and foe, the United States. The past 150 years have been witness to military incursions, assassinations, regime change, coups, etc. Today, after two decades of peace with the U.S. and unprecedented growth, an ascendant New Colonia joins the ranks of major industrialized nations on the world stage as America slides into rapid decline. Inexorably tied together, the fate of two nations, indivisible, hangs in the balance. (2) SPARE CHANGE. Everybody’s getting on the bandwagon: Smithsonian curators present historic coins representative of the noble houses of Westeros: “It’s not heads or tails in the ‘Game of Thrones'”. Daenerys Targaryen has spent the Game of Thrones saga making a name for herself—several, actually: the Mother of Dragons, Khaleesi of the Great Grass Sea, Breaker of Chains, and more. She harnesses the power of fire and blood, renowned for her skills as dragonlord and evidenced in the sigil of her house, which depicts a red three-headed dragon on a black field. The silver-haired Targaryens are not alone in their veneration of dragons as ancestral symbols of power and prestige. This gold liang coin depicts a mighty and ferocious dragon flying through clouds toward the viewer, flames protruding from its mouth. 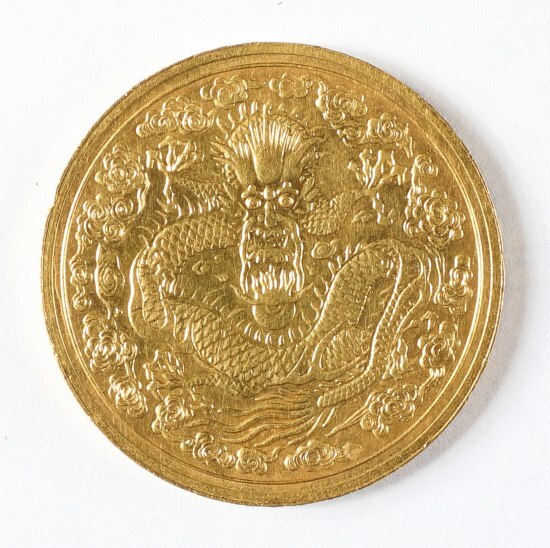 The coin was minted under the Guangxu Emperor of the Qing dynasty, where the dragon would have been understood as a symbol for wisdom, power, nobility, and ambition. Such symbolism is literally used by Targaryens and their dragons to claim rule of the Seven Kingdoms. (3) BOW WOW. The Washington Post’s Karen Bruillard, in “Dire wolves were real. Now someone is trying to resurrect them”, reports on Medford, Oregon dog breeder Lois Schwarz, whose Dire Wolf Project has been going on for thirty years but has gotten national attention with Game of Thrones. Schwarz has been working on wolf-dog hybrids for decades (the term she likes is “American Alsatians”). “‘Game of Thones’ has given demand a bump, but not in the way Schwarz likes,” Says Bruillard. “The fiction-motivated customers are looking for dogs that resemble the characters Ghost or Nymeria,” while Schwartz wants to breed dogs that are smart and friendly. (4) NEW MCCCAFFREY. 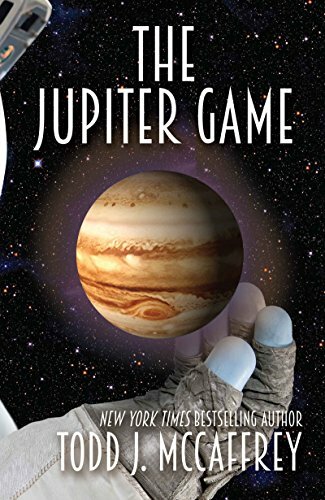 A little birdie told me WordFire released “The Jupiter Game (The Game of Stars Book 1)” by Todd McCaffrey (Kindle edition) on July 30. Not about dragons – but aliens. The Russians and the Europeans got there first in their fusion ship Harmonie. At least, that’s what they thought. What do they want? What will they do? The Jupiter Game: A close encounter with aliens who watch Howdy Doody. (5) HEVELIN COLLECTION Andrew Porter reports that it looks like the digitization of Rusty Hevelin’s fanzines has slowed dramatically. The person in charge has left, leaving someone else in charge. Post on the blog 2 months ago, showing a flyer from the 1981 Worldcon about the Hugo Losers Party, shows how little the people in charge know about SF. “The year of the con?” Really? “Hi Folks, I want to let you know that Laura Hampton, the librarian doing the actual digitization of Hevelin fanzines and who has masterfully displayed some of the Hevelin treasures here over the last two years, has moved on to a great job in Florida. We all wish her the very best and I am so grateful for all she’s accomplished. We’ll miss her. It says something that the person does not recognize references to the 1981 Worldcon – where Rusty Hevelin was the Fan Guest of Honor! (6) BLACKOUT. The Washington Post’s Christopher Ingraham has discovered “The path of the solar eclipse is already altering real-world behavior”. The upcoming solar eclipse is poised to become the “most photographed, most shared, most tweeted event in human history,” in the words of one astronomer. Millions of people will watch it, potentially overwhelming the cities and towns along the eclipse’s path of totality. (7) SKLAR OBIT. Marty Sklar worked for Disney for 54 years and led the designing and creating most of the Disney rides during this period. He died July 27. Los Angeles Times writers Daniel Miller and Richard Vernier marked his passing in “Marty Sklar, Pioneering Imagineer Who Channeled Walt Disney, Dies at 83”. Long after his mentor’s death, Sklar recognized the treasure-trove of wisdom he had started compiling at Walt Disney’s elbow in the late 1950s. He distilled it all into “Mickey’s Ten Commandments,” a widely circulated creed that remains a touchstone in the theme park industry. The commandments were a cornerstone of Sklar’s own half-century career at Walt Disney Co., where he led the creative development of the Burbank company’s parks, attractions and resorts around the world, including its ventures in the cruise business, housing development and the redesign of Times Square in New York. Sklar died Thursday in his Hollywood Hills home. No cause of death was given. He was 83. His retirement in 2006 marked the end of an era: He was one of the last remaining executives to have worked alongside Walt Disney in shaping the company into a global powerhouse. Sklar, who last served as principal creative executive of Walt Disney Imagineering, the storied theme park design and development outfit, was so closely associated with the company’s namesake that he became known as the Sorcerer’s Apprentice. August 1, 2014 — Guardians of the Galaxy, Vol 1 opened. (9) COMIC SECTION. John King Tarpinian says to check out today’s Moderately Confused. (10) AUDIENCE BUILDING. Cat Rambo wrote a column about writers and self-promotion for Clarkesworld. 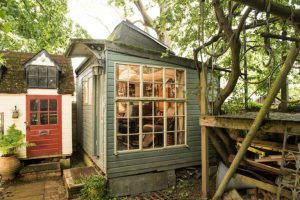 Whether opting for indie, traditional, or hybrid, publicity work on behalf of one’s output is less and less optional on the writer’s side of things for everyone except the top tier writers whose fan bases are so established that the publishers know their books are almost guaranteed to sell. Time and time again I have had writers come to me worried that they must create a social media presence because they’ve been told that they must by their agent or publisher. And it’s true that when acquiring books, some publishers look at a writer’s social media, believing that large followings will lead to greater sales. You can see this pressure to publicize manifest in one form on Twitter, where writers work at projecting their brand as well as writing. It’s a weird balancing act, where they’re working at writing books people will want to read, but also working at attracting readers who might give them a try based on a quip or observation they’ve posted. Sometimes it feels sincere; other times less so. It is undeniable that a strong social media presence will affect sales, but its effect is generally overestimated, in my opinion. Creating consistently good work that brings readers back to look for more will always be the best strategy—although admittedly not one available immediately out of the authorial starting gate. (12) CLASS. And one of the items in her latest newsletter is her teaching schedule for August. See something you need? Sign up. Plenty of Plunkett scholarships available. Please make use of them or pass the info to someone you know would benefit from the class but can’t afford it. (13) YAKKITY-YAK. A corollary to the well-known joke about it being okay to talk to yourself as long as you don’t answer — “Chatbots develop own language: Facebook shuts down AI system…”. (14) AN UNCANNY EDITOR. Elsa Sjunneson-Henry tells Tor.com readers “I Built My Own Godd*mn Castle”. I am seventeen when I meet Miles Vorkosigan. I’m not ready to meet him then. He startles me, I see myself in him and I don’t want to, because the common narrative told me being disabled was a weakness, not a strength. When I re-read him several years later, I find myself reveling in his glee, his reckless abandon. His energy. I wish I’d been ready for him sooner. He is what tells me I deserve romance, that I deserve my own narrative. He is also still a boy. I have no women in fiction to guide me. I am in my mid-twenties the first time the word “disabled” escapes my lips as a word to define myself. I’ve had a white cane for six years, yet I still don’t see myself as disabled, because no one else does. When I discover it applies to me, it feels freeing. I have mere days left in my twenties when I start writing a book about a disabled woman, a woman who shares my blindness, though not my conditions. It is rewarding, working through a story that feels right, the weight of the story, the sensory details all mine. I’ve made a promise to myself, one that I haven’t shared yet. A promise to tell stories about disabled people as often as I can, as many varied stories as I can, because for me, I didn’t get enough of them when they were needed. I am thirty-one when I take a job as an editor, creating a special issue for a Hugo award-winning magazine where I will, with other disabled people, destroy ableism like the kind that took me years to undo, and will take me more years to untangle and burn away. That magazine is Uncanny. That issue is Disabled People Destroy Science Fiction. That job is Guest Editor-in-Chief of Non-Fiction. Those disabled people are my co-workers, my co-editors, and the writers I will work with. (15) BEST COMMERCIALS. Adweek says “5 Years Later, the Guardian’s ‘Three Little Pigs’ Still Blows the House Down”. Click on the link to see the video. It’s been a good year for ads from newspapers and magazines, from The New York Times to the Atlantic. But you have to go back five years for a truly transcendent piece of advertising from a journalistic publication—the Guardian’s “Three Little Pigs” spot by BBH London. Adweek chose “Three Little Pigs” as the single best ad of 2012. And now, Hill Holliday creative director Kevin Daley has included it among his favorite work of all time in Adweek’s latest “Best Ads Ever” video (see above). (16) PLONK YOUR MAGIC TWANGERS. Hampus Eckerman says, “I demand that these people get to make the soundtrack of a fantasy movie. All of them.” — Khusugtun Takes Listeners To Mongolia | Asia’s Got Talent 2015 Ep 2.